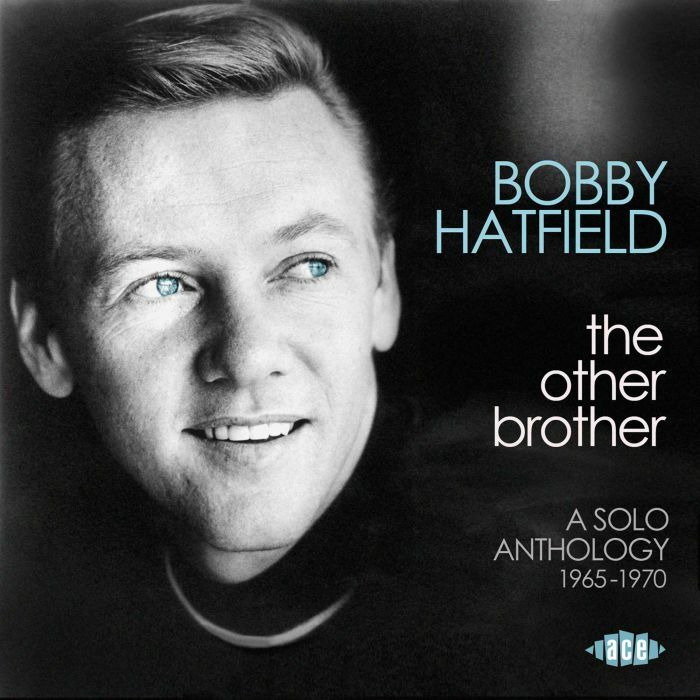 BOBBY HATFIELD-THE OTHER BROTHER: A SOLO ANTHOLOGY 1965-1970. When twenty-two year old Bobby Hatfileld met Bill Medley in 1962, and formed The Righteous Brothers little did the pair realise that this was the start of a journey that would see the pair become one of the most successful musical partnerships of the sixties. The most successful period of The Righteous Brothers’ career was between 1963 and 1965, when they formed a formidable partnership with producer Phil Spector. During that period, The Righteous Brothers released eight albums and a string of hit singles on Phil Spector’s Philles Records. This included classic singles like You’ve Lost That Loving Feeling in November 1964; and Unchained Melody in July 1965. Three months later, in October 1965, The Righteous Brothers parted company with Phil Spector and signed to Verve/MGM Records. The split with Phil Spector was acrimonious, with Phil Spector suing The Righteous Brothers. Eventually, the case was settled out of court, with The Righteous Brothers paying Phil Spector $600,000. This allowed The Righteous Brothers to embark upon a new chapter of their career at Verve/MGM Records. While this might have seemed like a brave new world for The Righteous Brothers, there was a downside to the move to Verve/MGM Records. No longer would The Righteous Brothers be working with Phil Spector. At first, it looked as if The Righteous Brothers could manage without Phil Spector, when (You’re My) Soul and Inspiration was released in February 1966, and reached number one in the US Billboard 100. This gave The Righteous Brothers’ the first gold disc of their career. When the album Soul and Inspiration was released later in 1966, it reached number seven in the US Billboard 200 and was certified gold. However, that as good as it got for The Righteous Brothers. They never reached the same heights during the rest of their stay at Verve/MGM Records. By 1968, The Righteous Brothers’ best days were behind them, and singles, like their twee cover of My Darling Clementine in 1967 and Here I Am in 1968 failed to chart. Meanwhile, the three albums The Righteous Brothers’ albums released between 1967 and 1968 all struggled in the lower reaches of the US Billboard 200. Music had changed, but The Righteous Brothers hadn’t. Maybe Bill Medley realised that, when he announced he was leaving The Righteous Brothers to resume his solo career in 1968 at MGM Records. It was the end of an era for The Righteous Brothers. After Bill Medley signed to MGM Records, Bobby Hatfileld signed to Verve Records in 1968. With both Righteous Brothers resuming their solo careers, industry insiders wondered who the winner would be? It was going to be a close run race, that lasted five years. Bobby Hatfield’s solo career has been documented on The Other Brother: A Solo Anthology 1965-1970, which was recently released by Ace Records. The Other Brother: A Solo Anthology 1965-1970 features twenty-four songs. 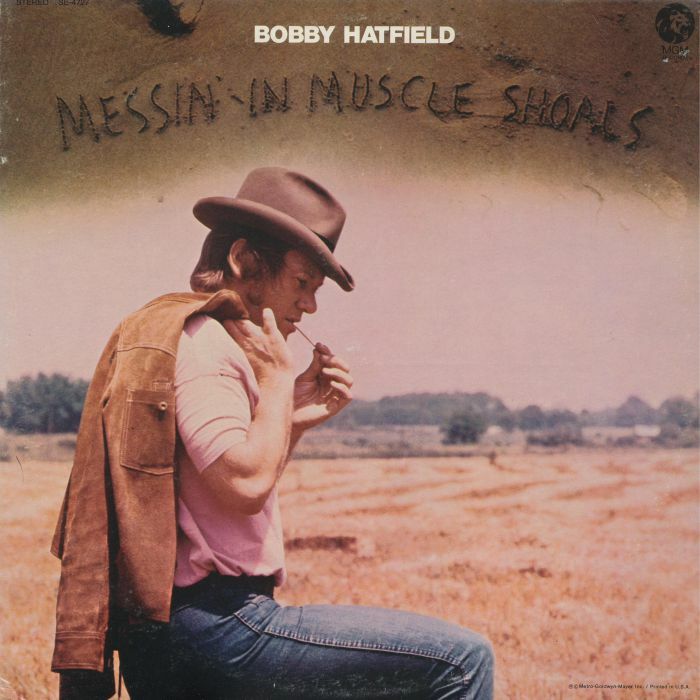 This includes Bobby Hatfileld’s first two singles, the entire Messin’ In Muscle Shoal album and seven previously unreleased tracks. As an added bonus, there’s also three song from The Righteous Brothers, including: Unchained Melody, Ebb Flow and (I Love You) For Sentimental Reasons. It’s safe to say that The Other Brother: A Solo Anthology 1965-1970 is the most comprehensive overview of Bobby Hatfield’s solo career. It begins in 1965. By the time Bobby Hatfileld’s solo career resumed, Verve Records had bought The Righteous Brothers and Bobby Hatfield’s recordings from Phil Spector’s Philles Records. This meant that the only company releasing Bobby Hatfield recordings would be Verve Records. This would included some of those recorded in Los Angeles, during his first recording session for Verve Records. On the ‘15th’ March 1968, Bobby Hatfileld entered the studio to record his first solo recording for Verve Records. Five songs were recorded, including what became Bobby Hatfield’s debut single for Verve Records. This was a cover of Barry Mann and Cynthia Weil’s beautiful ballad Hang Ups. Among the other songs recorded were Bobby Hatfield’s rueful cover of Barry Mann and Cynthia Weil’s See That Girl, and a soul-baring cover of Goffin and King’s So Much Love. Previously unreleased versions of both tracks feature on The Other Brother: A Solo Anthology 1965-1970. It seemed released from the shackles of The Righteous Brothers, Bobby Hatfield was embracing this new start. Three weeks later, in early April 1968, Bobby Hatfield returned to the studio and recorded two more songs. 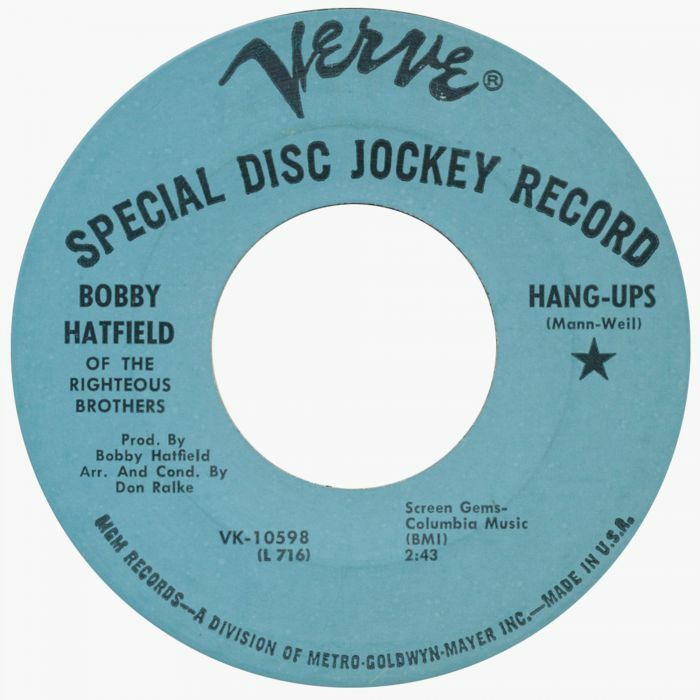 This included the Bobby Hatfield composition Soul Cafe, which would feature on the B-Side of Hang Ups when it was released as a single. In May 1968, Hangs Up was released in May 1968, but failed to make any impression on the charts. This was disappointing for Bobby Hatfield and executives at Verve Records. However, two months later, and Bobby Hatfield was back in the studio. When Bobby Hatfield entered the studio on ‘17th’ July 1968, it proved a productive session. He managed to record three songs, but none of these songs were ever released. This includes a cover of Harry Nilsson’s Paradise. Strings, horns and harmonies accompanying Bobby Hatfield’s impassioned vocal on this beautiful ballad. Sadly, the song was never released, and makes its debut on The Other Brother: A Solo Anthology 1965-1970. Just a month after recording Paradise, Bobby Hatfield returned to the studio on ’21st’ August 1968 and cut three songs. This included In My Mind, which makes its debut on The Other Brother: A Solo Anthology 1965-1970. Another of the songs Bobby Hatfield recorded was Brothers which another of his own compositions. It was a poignant song that dealt with his time as one half of The Righteous Brothers. 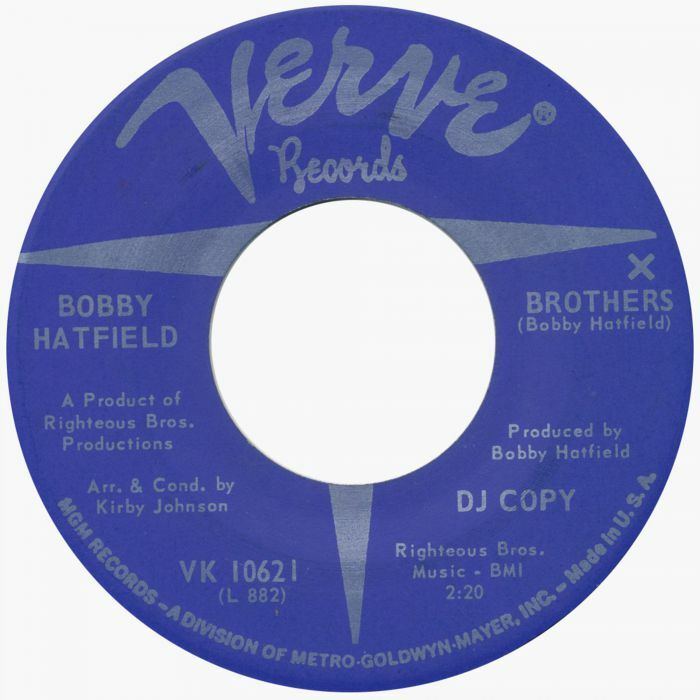 Brothers would become Bobby Hatfield second single for Verve Records, and featured a cover of What’s The Matter Baby on the B-Side. When Brothers was released in October 1968, it also failed to find an audience. The song never even made it into the lower reaches of the charts. Bobby Hatfield’s solo career wasn’t going to plan. Despite this, Verve Records weren’t about to turn their back on Bobby Hatfield. They scheduled another recording session for ’23rd’ December 1968. That day, Bobby Hatfield recorded four songs, including The Wonder Of You and I’ve Got My Eyes On You. The other two songs, My Prayer and Only You two, had previously given The Platters’ hit singles. This quartet of songs were intended to feature on Bobby Hatfield’s debut solo album. However, one of these songs became Bobby Hatfield’s next single. The song chosen was Only You, which was released in February 1969, but stalled at a lowly ninety-five on the US Billboard 100. Only You doesn’t feature on The Other Brother: A Solo Anthology 1965-1970. Neither do the next two singles Bobby Hatfield released in his search for a hit single. Bobby Hatfield returned to the studio in early 1969, including U Wish I Didn’t Love You So Much. It featured on the B-Side of Bobby Hatfield’s next single My Prayer, which was released in April 1969. Just like Only You, My Prayer failed to chart, and the search for a single continued. In July 1969, Bobby Hatfield released his fifth single for Verve Records. This was Answer Me My Love, which featured I Only Have Eyes For You on the B-Side. It was a familiar story for Bobby Hatfield when Answer Me My Love never came close to troubling the charts. Little did Bobby Hatfield know that it was the final single he would release for Verve Records. Later in 1969, Bobby Hatfield’s career took an unexpected twist. Having dissolved his partnership with Bill Medley, Bobby Hatfield recruited Jimmy Walker of The Knickerbockers’ as his replacement. The new lineup of The Righteous Brothers released a new album, Re-Birth which failed to even trouble the charts. It was a similar case when The Righteous Brothers released Woman, Man Needs Ya as a single. For Bobby Hatfield, this was a huge blow and he resumed his solo career. When Bobby Hatfield resumed his solo career, Bobby Hatfield had been moved from Verve Records to MGM Records. This was as a result of MGM Records’ decision to reduce its roster, and move all pop and R&B artists to the main label, MGM Records. With the label reducing its roster, it was a worrying time for Bobby Hatfield, who after two years of trying, was still looking for his first hit single. Despite this, Verve Records were still planning to release Bobby Hatfield’s debut album. A decision was made to send Bobby Hatfield to Rick Hall’s Fame Studios, in Muscle Shoals to record his debut album. It was hoped that Rick Hall could transform Bobby Hatfield’s fortunes. He had a good track record, and had worked with some of the biggest names in music. Now he was tasked with transforming the fortunes of Bobby Hatfield. Having made the journey to Fame Studios, Bobby Hatfield began working with Rick Hall and his legendary studio band. However, it was chief engineers Mickey Buckins and Sonny Limbo who produced the sessions, with Rick Hall overseeing the recording. The sessions went smoothly, and before long, Bobby Hatfield had recorded more than enough tracks for an album. Back at Verve Records, work began on choosing the songs for Bobby Hatfield’s debut album. Eventually, they settled on ten tracks which included You Left The Water Running, Let It Be, If I Asked You, The Promised Land, Shuckin’ And Jivin’, I Saw A Lark, You Get A Lot To Like, Show Me The Sunshine, The Feeling Is Right and Messin’ In Muscle Shoals. These ten tracks would become Bobby Hatfield’s debut album Messin’ In Muscle Shoals. With the Messin’ In Muscle Shoals ready for release later in 1970, a single was chosen from the album. It was decided to release The Promised Land, with Woman Go No Soul on the B-Side. However, at the last minute, the single was cancelled, and since then, Woman Go No Soul has lain unreleased. It makes an overdue debut on The Other Brother: A Solo Anthology 1965-1970. The cancellation of The Promised Land was a huge disappointment. 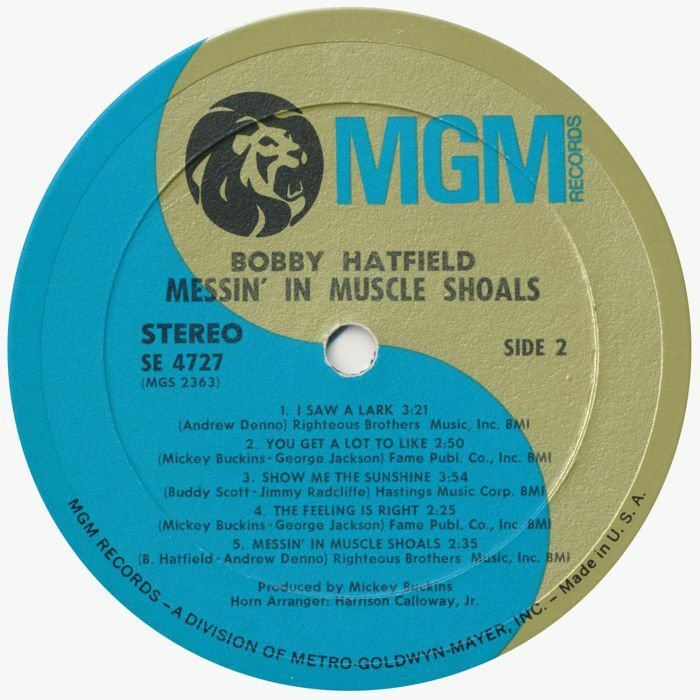 Despite this Messin’ In Muscle Shoals was released, but just like Bobby Hatfield’s five singles, failed to find an audience. For Bobby Hatfield it was the end of the line. After the commercial failure of Messin’ In Muscle Shoals, Bobby Hatfield left MGM Records. It’s unclear if he was dropped, or left of his volition. It was the end of an era, which found Bobby Hatfield’s career at a crossroads. Four years later, in 1974, Bill Medley and Bobby Hatfield decided to resume their career as The Righteous Brothers. While Bill Medley hadn’t enjoyed a huge amount of commercial success, he had enjoyed more success than Bobby Hatfield. That would be the case when they later resumed their solo careers. As a result, the blue-eyed soul of Bobby Hatfield music is often overlooked. Hopefully, that will no be the case. Ace Records recently released The Other Brother: A Solo Anthology 1965-1970, which is, without doubt, the most comprehensive overview of Bobby Hatfileld’s solo career. It features twenty-four songs that Bobby Hatfield recorded for Verve Records and ultimately MGM Records. This includes Bobby Hatfileld’s first two singles and the entire Messin’ In Muscle Shoal album. There’s also seven previously unreleased tracks, including several hidden gems. They’re a reminder of Bobby Hatfileld’s blue-eyed soul. As an added bonus, there’s a trio of tracks from The Righteous Brothers, including their classic Unchained Melody, Ebb Flow and (I Love You) For Sentimental Reasons. They were recorded while The Righteous Brothers were signed to Phil Spector’s Philles Records, which was the most successful period of their career. Sadly, Bobby Hatfileld was unable to replicate the commercial success that he enjoyed with The Righteous Brothers between 1963 and 1965. Looking back, it was a case of what might have been? Maybe if Bobby Hatfileld had been signed to another label, he would’ve enjoyed the commercial success his talent deserved? Certainly, another label would’ve chosen different material for his third, fourth and fifth single. The songs chosen were oft-covered and familiar songs, Only You, My Prayer and Answer Me My Love and don’t feature on The Other Brother: A Solo Anthology 1965-1970. Choosing these three familiar songs as singles was maybe Verve Records an attempt to tap into the market for nostalgia? This didn’t pay-off, as music was changing, and changing fast. Bobby Hatfield needed to change direction. This didn’t happen until he made the journey to Fame Studios, in Muscle Shoals to record his debut album Messin’ In Muscle Shoals. Sadly, it was another case of what might have been. By the time Messin’ In Muscle Shoals was released in 1970, MGM Records was reducing its roster. The MGM Records PR machined didn’t seem to get behind Messin’ In Muscle Shoals, and the album failed to find an audience. That marked the end of Bobby Hatfield’s time at Verve Records and MGM Records. The Verve Records and MGM Records’ years are celebrated on The Other Brother: A Solo Anthology 1965-1970, which is the perfect introduction to the blue-eyed soul of Bobby Hatfield’s solo career. ← RUPTURE-ISRAEL SUITE/DOMINANTE EN BLEU.